Fitzpatrick pulls off win in Bucks County. Jeannette Reyes reports during Action News Mornings on November 7, 2018. 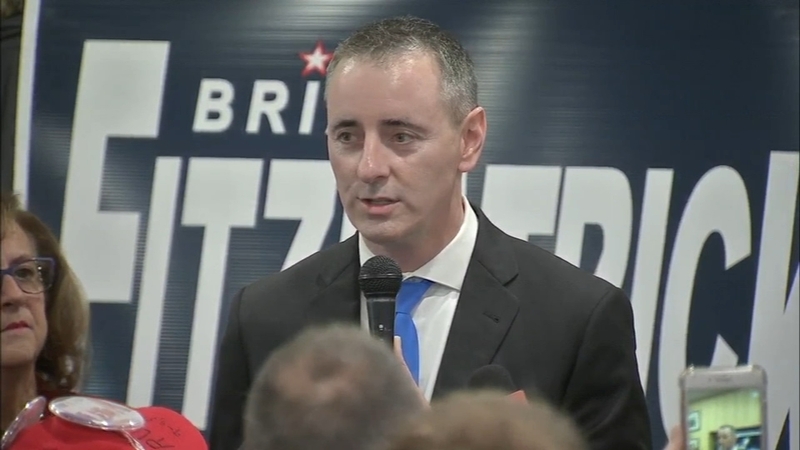 BENSALEM, Pa. (WPVI) -- After months of nasty ads on both sides and millions of dollars spent, Democrat Scott Wallace conceded Tuesday night in the race for Pennsylvania's first congressional district giving the victory to freshman Republican Brian Fitzpatrick. By the time the former FBI agent gave his victory speech at 11:30 p.m., most of the votes were tallied with Fitzpatrick at 51.5% to Wallace's 48.5%. "These are tough, tough fights; these elections and this district are really tough," Fitzpatrick said. In his speech, Wallace hoped that his opponent would stay true his word to unify a divided district and address what he called serious problems on Capitol Hill. "I hope that his problem solvers caucus will be able to solve some problems because we have some serious problems to be," Wallace said. Abrams aims to be first black female governor in the U.S.